In this thread you can share all media stuff you want (screenshots, videos) regarding this mod. My two videos, ALMS category. The video realisation is very good quality, lot of cool effects, but like too many times the video only features crashes, crashes, crashes....Endurance racing is not that. It's powerfull cars with lot of charism and lovely sounds, and great battles. Crashes are not interesting. Yeah i agree, anyway nice video, but too much effects imho. Hello...! Nice vidéo (road america).....And so beautiful track.....! But i have a old version....I want this track, but where...?! PLEASE! PLEASE!......thank you and sorry for my english.....Good week and watch petit le mans on the TV!! Sorry, is not legal :( i'm happy you liked my video. Probably one of my last rF1 videos.. Very nice work Flaux! I wish you would come up with this prior to the release of SP2!! Well you guys had enough to do with SP2 I guess. Didn't want to put another note on your already big todo list. looks stunning indeed :) great shots mate. Well, IMHO you can contact ISI...i'm sure they'll give you a big OK. Indeed the Panoz is property of ISI, so to achieve that you must have cracked and upcrypted the 3d model. So i'm not sure ISI would appreciate. 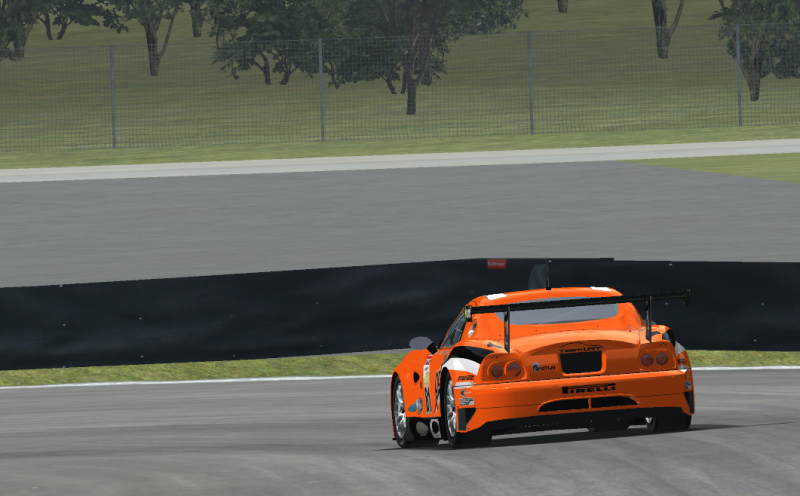 Anyway now it's a bit late, we will see how the car looks on rF2 (as it is in the list). Good effort anyway, it looks good. Well, anyone can do this on their own. Together with an updated undercarshadow (from c6r) and undercar texture (ISI'S carbon.dds) it took me around half an hour and it wont cause any mismatches if I remember correctly. Only updated the gmt's and dds's. - But you guys will get it right in rF2 and thats more important. 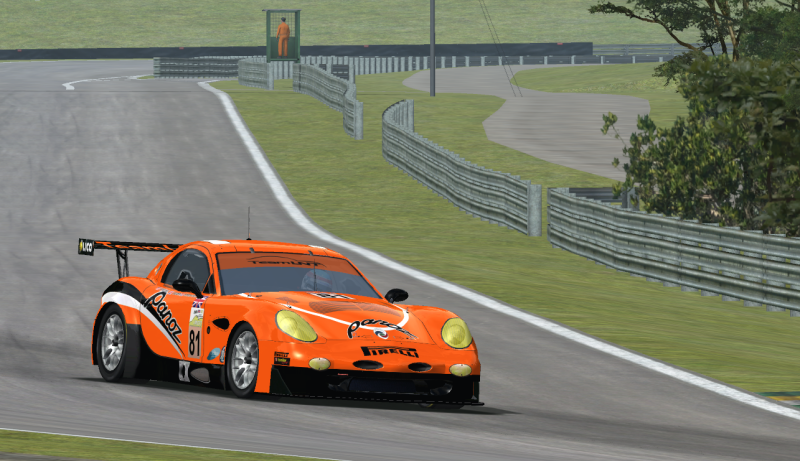 Oh, my latest change were the Panoz external sounds. While the internal ISI sound come close to the real one, the external sounds are different. This post has become a bit bigger than I expected, but maybe it is just my way to say thank you for years of great endurance racing with this wonderful piece of software. To be honest, the C6R needs more then only a ride height adjustment. This is one of the subject that we would need to deal about if we happen to swich on rF2. Man that panoz must be a loud car! I remember watching the GT2 vette's thundering past and that was insane already. This video makes me wanna do new sounds for the panoz.